Updated: 07Feb2015 emails deletedupdated 5 September 2013 with photo by neo, thanks! picture share by Sunny Chan Honored to be beside. — with Loo Kang Lawrence Wee. thanks to sunny for sharing this with me. Message of the Day? 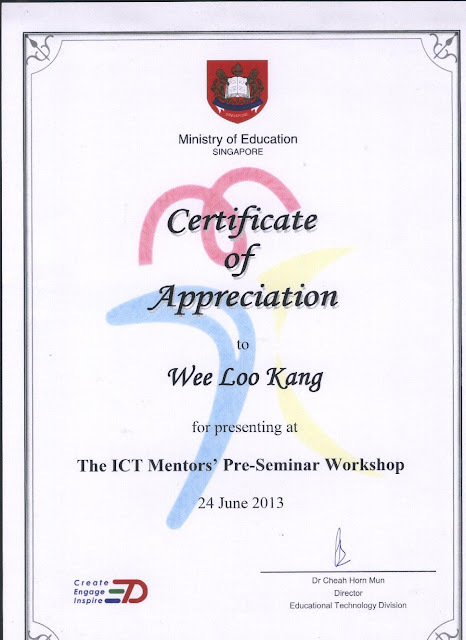 update 21 june2013ICT Mentors’ Pre-seminar Workshops on 24 Jun 13All pre-seminar workshops on Monday, 24 Jun 13, will be CANCELLED. 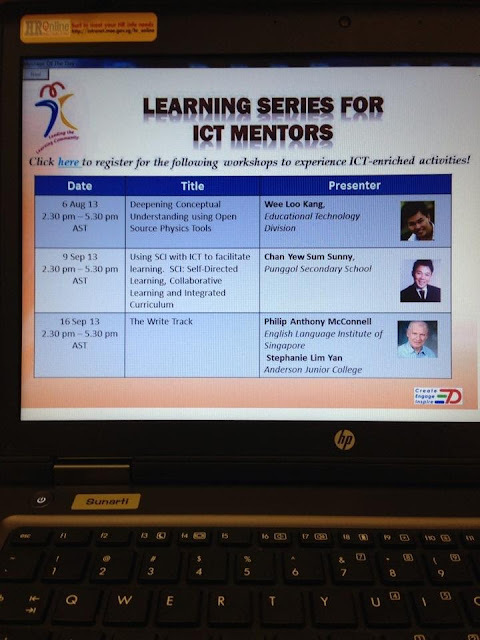 To benefit all, we will work with the ICT Mentors, who are sharing at this platform to conduct the workshops as a Learning Series for ICT Mentors. More details will be provided at a later date. We are pleased to confirm your registration for the pre-seminar workshop you have signed up. We look forward to seeing you at the pre-seminar workshop. Type of technology used for teaching and learning: (Easy Java Simulation) Java Based on Windows, MacOSX and Linux only. 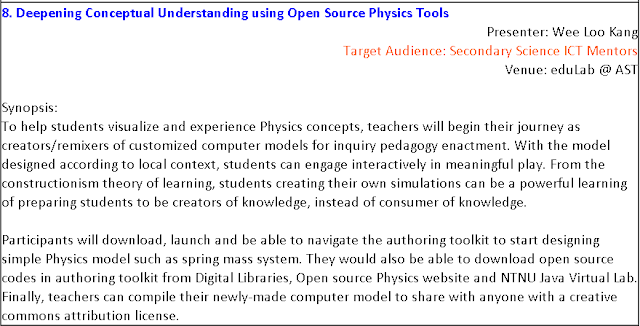 To help students visualize and experience physics concepts, this ICT Mentors workshop will help teachers to begin their journey to be creators/remixers of customized computer models for inquiry pedagogy enactment. With the model designed according to local context, students can engage interactively in meaningful play, are more likely to inspire the love for learning. In addition, from the constructionism theory of learning, students creating their own simulations can be a powerful learning of preparing students to be creators of knowledge, instead of just consuming knowledge. note: NTNU forum only allow postings of EJS models for at least 2 posts count accounts. You need to post more often. The ready resources from Loo Kang, the hands-on. Introducing a free web tool that Physics teacher can tap on. 2. The presenter and facilitators are very helpful and willing to share what they know. Lots of insight and hands-on run through of the various tools that can be used to design and adjust simulations to meet my students needs as well as to develop my own apps for various purposes and learning. Step by step in use of the EJS. 1. It is extremely useful to have a hands on workshop on the use of EJS for the creation of applets for lessons. 2. There is clarity in the explanations on the use of EJS. Trainer is very experienced in using the software. authentic task and very application based workshop. I find it much more enriching than workshops focusing on the more abstract concepts that never really apply to real life situations. Be exposed to the tools that are available on the web that teachers can use. We have control of what we wish to do with our time and open source is a great way we can enhance our own learning. Possibilities of creating and modifying simulations to suit our teaching needs. The applet resources available on the blog. 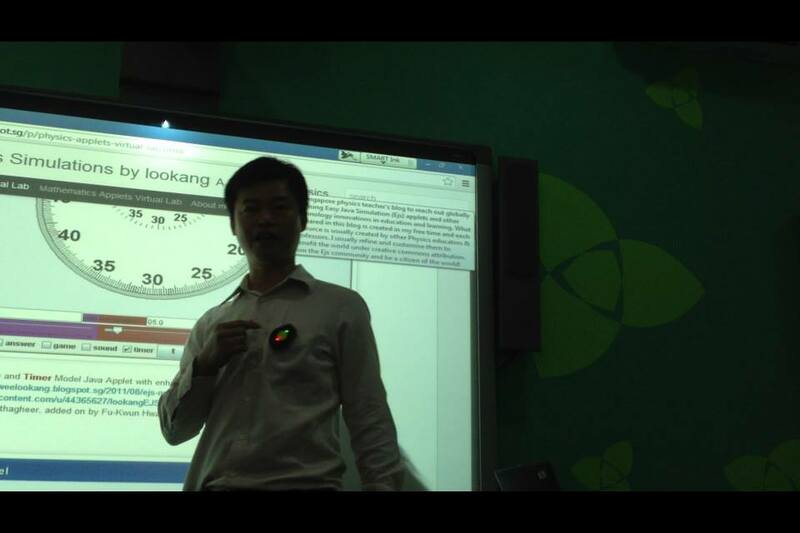 EJS is not just a tool, sim remixing is not only a tool; but an endless supply of tools to be utilized by us teachers. open source is the new way to go for education especially with the advent of internet, as per MOOCs are the in thing internationally. The duration of the workshop is too short. Maybe make this course on a Friday so that we dont need to leave so early from class in case we miss lessons. Very technical workshop. The objectives of the course is not very clear. Participant may not be prepared the course. Maybe for basic course, start with topics and chapters that are from the syllabus and see how simulations help students to learn better. 1. How EJS can be used to deepen conceptual learning in Physics? 2. Relevance to the title of the workshop. photo gallery by neo, thanks!